12/150 Back on the trail! Yay! We are back racing! 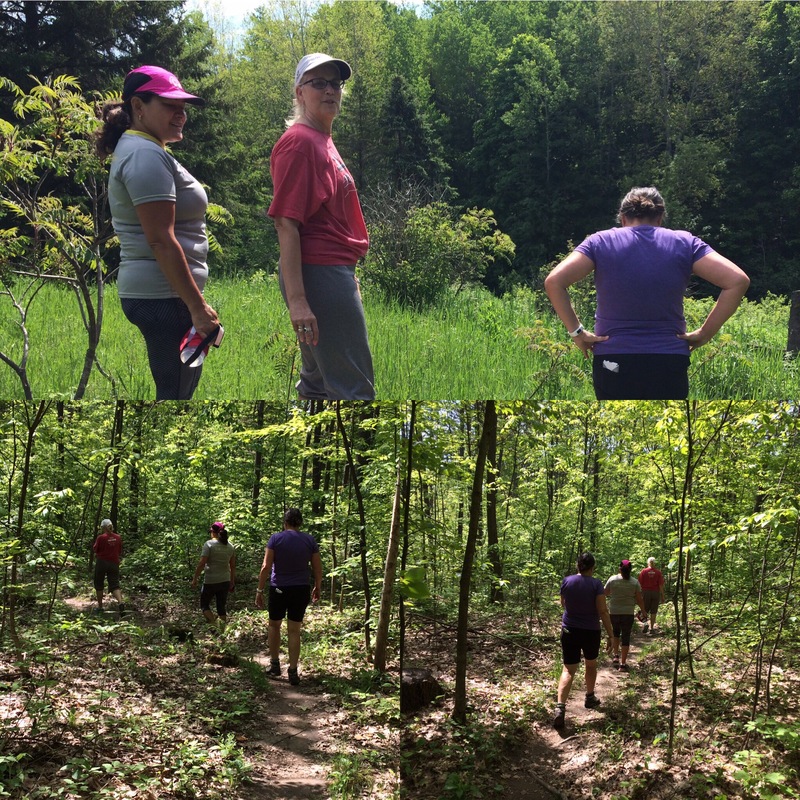 Well that’s is debatable, racing that is, but the Sisters ran the Iroquois Trail Test today! Beautiful day, challenging course, lots of heart pumping fun. we even had an awesome guest with us, Cecilia! The three of us rock the course, and yes there were tons of rocks, and hills and more rocks, a true Test! Yay for us! Thanks for remembering to take this photo, Cecilia! 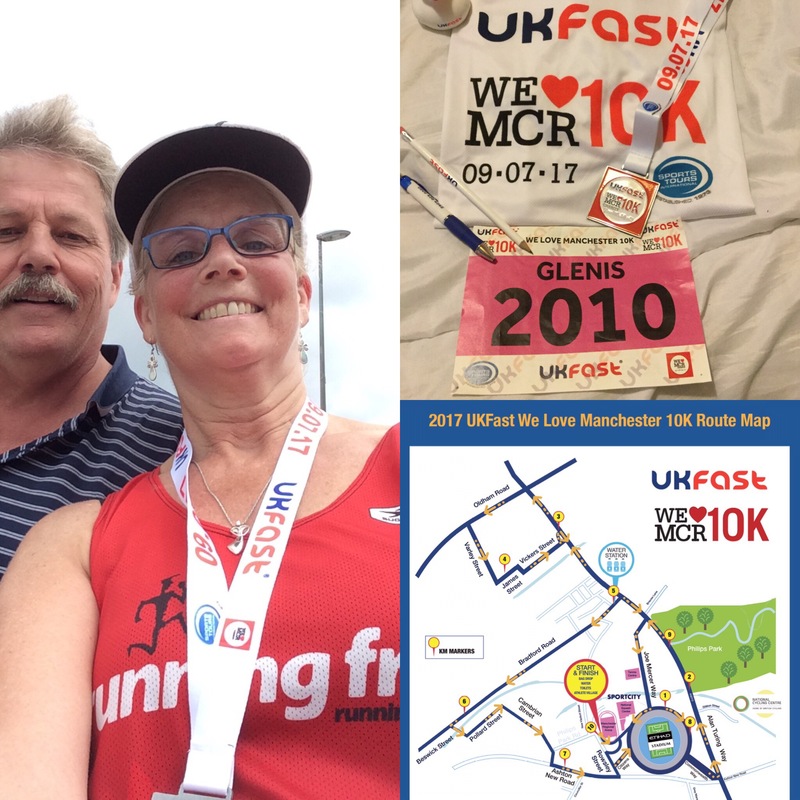 Sunday morning Glenis ran the UKFAST UKFAST WE LOVE MANCHESTER 10K. That lucky girl is visiting the UK for a few weeks and decided she better run a little bit while she is there! “The UKFast We Love Manchester 10k is known for its fast route and friendly atmosphere as well as its popularity in the region – commonly known as ‘the peoples race’. We welcome runners of all abilities, in this the perfect 10k event to beat your personal best, meet other runners and to raise money for charity, with over 3,000 entrants in 2016” according to their website. It sounds like it was a lot of fun. She said it was a really hot day but I know Glenis, she loves the heat she would have been grinning ear to ear! Glenis is having a great time visiting the UK, she has even taken a side trip to Spain. I wish I was over there to run with my sister, and cheer her on. I know she missed me trotting by her side. She did send over a few pictures of her accomplishment! I was back at it today, volunteering at the Rebecca Run. I started volunteering for the race back in 2001. 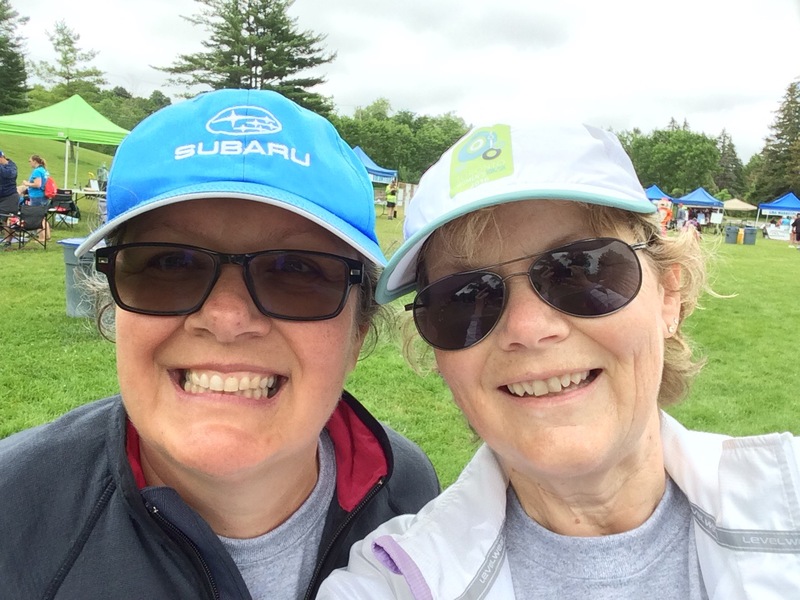 Louise Smith and I were training for a marathon when she came up with the idea for a run to raise funds for SMA. Rebecca had just been diagnosed. It was during those long training runs that the idea to make it the best family friendly race developed. Back then I was in charge of finding donations for the race kits. We wanted huge race kits at the Rebecca Run and we got them. We had so much stuff and not just samples sizes but full size bottle and packages of toiletries and pasta. We had to have shopping bags donated to put it all in. I even had 300 condoms donated! It’s not like that now. 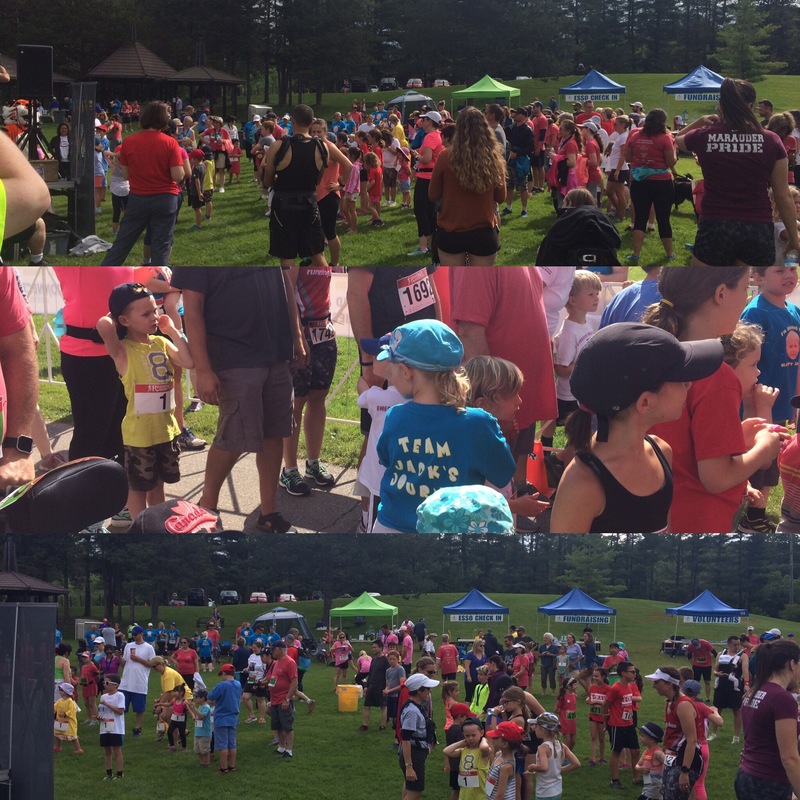 No race bags to worry about but the people still come out to run and donated for the kids and their families. Corporate sponsors have come on board and their work and donations are truly appreciated. Today was spectacular because Louise was able to stand up and announce that the new drug Spinraza, was approved by Health Canada, in July, for treatment of SMA in Canada. Yeah! It’s a crazy expensive drug. According to the New York Times, Spinraza “will be among the most expensive drugs in the world”, with an estimated cost US$750,000 in the first year of treatment and “about US$375,000 annually after that.” Now to get insurance companies on board! As Louise put it, this news doesn’t mean our job is done. We can’t stop until there is a cure! 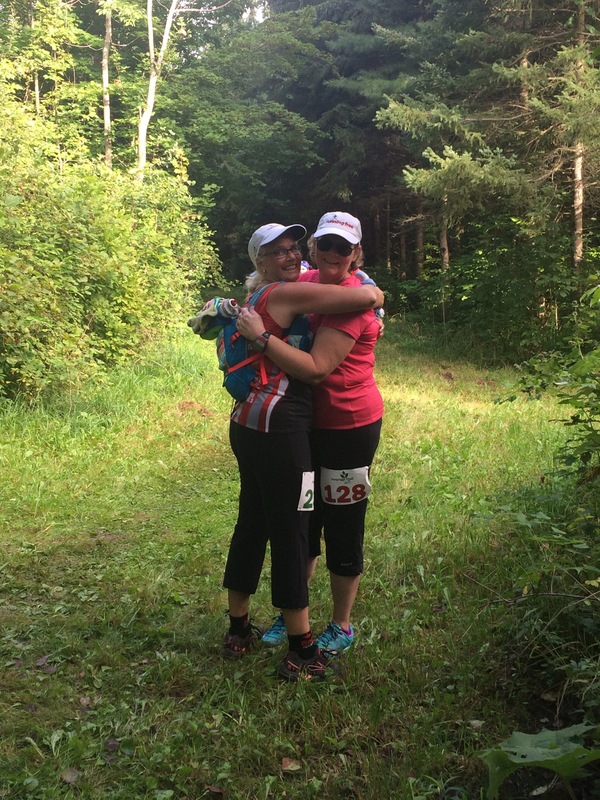 So the Blister Sisters will be back at the Rebecca Run next year! 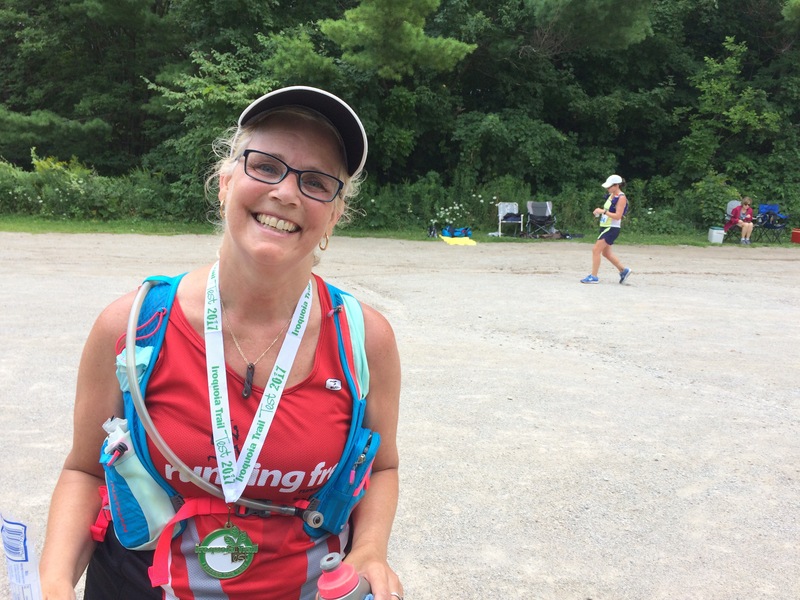 If you are looking for a fun race, chipped timed, with a family appeal consider the Rebecca Run next year. The kids can use your help. 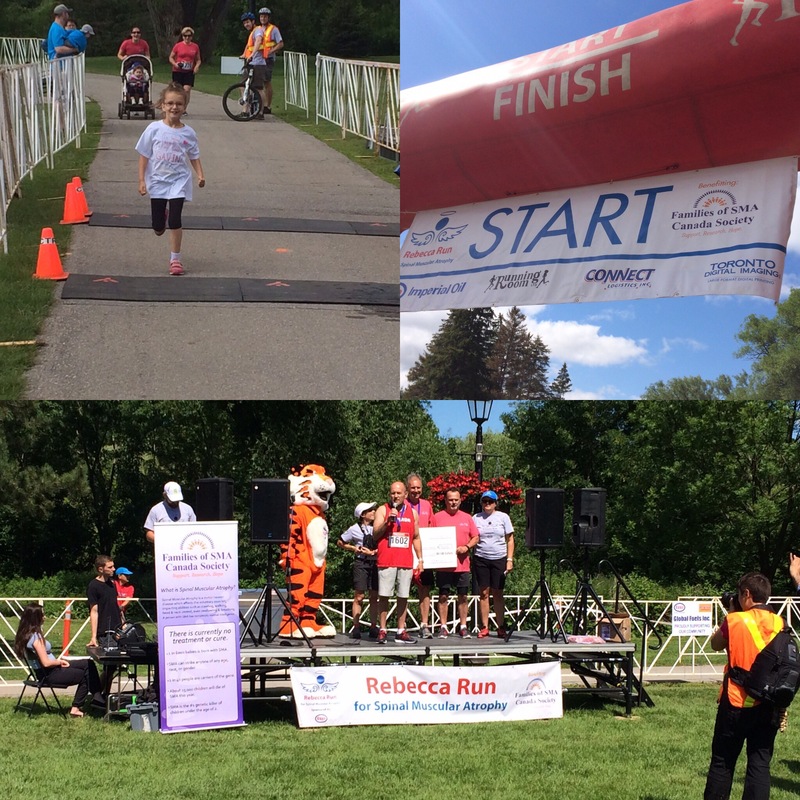 Check out the Rebecca Run website for updates , photos of the event and a place to donate. 9/150. How did you celebrate? 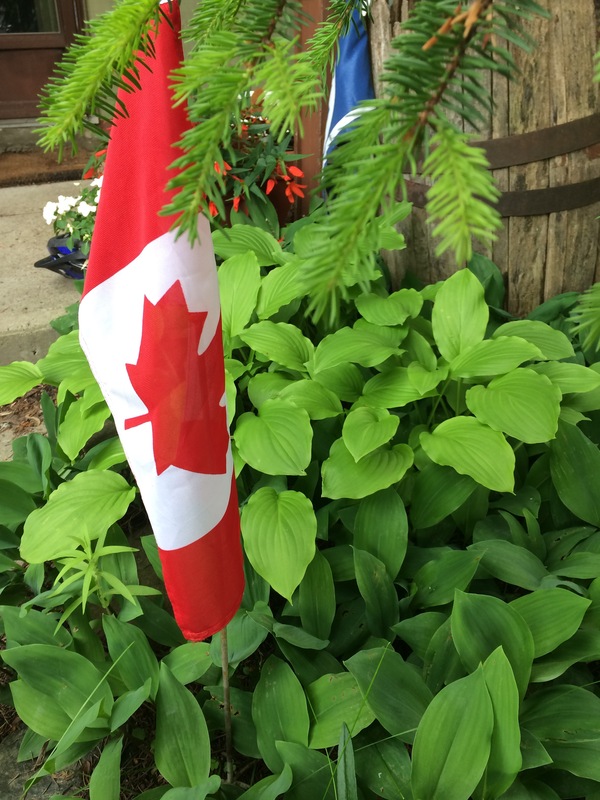 July 1st 2017 Canada’s 150 Birthday! It truly is remarkable that Canada is celebrating 150 years. We are a strong, young country. Difficulties and differences have come up but the people who make up this country have a common goal in developing a strong, free nation. Every one of Canada’s 150 years is worth celebrating. 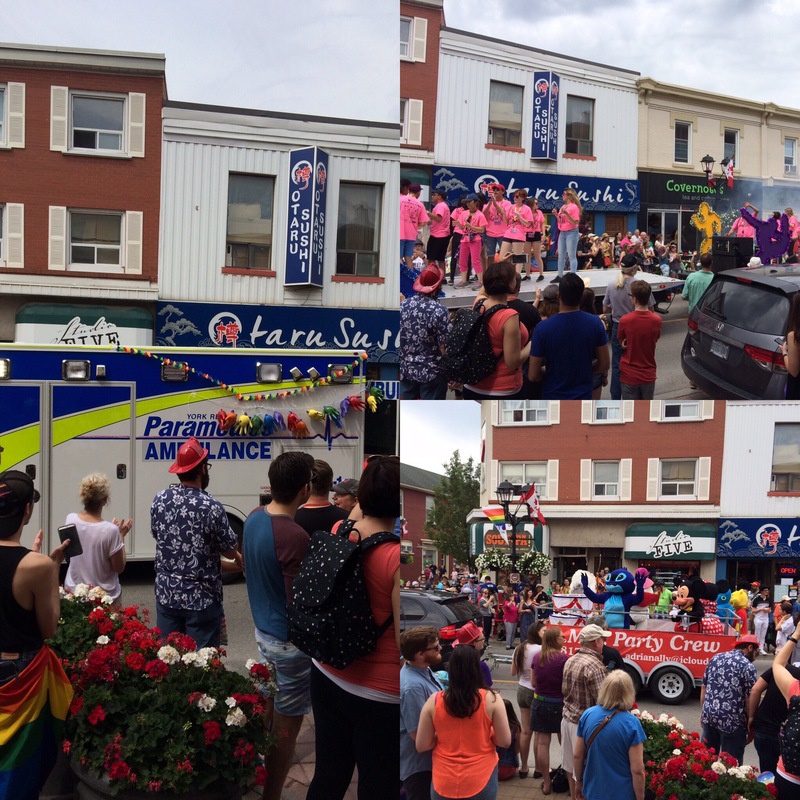 Last Saturday was the Pride Parade in town! Glenis had a prime spectator seat as it wound by the store. 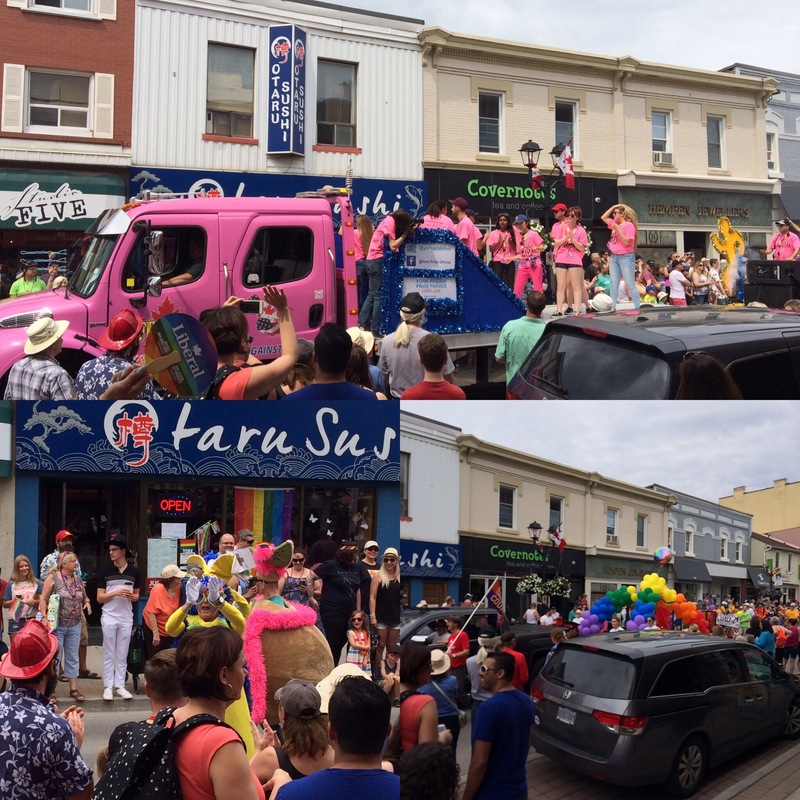 She said the parade was great, the crowds so deep along the side walk that she took a ladder out to sit on top of it so she could see and take these great pictures! 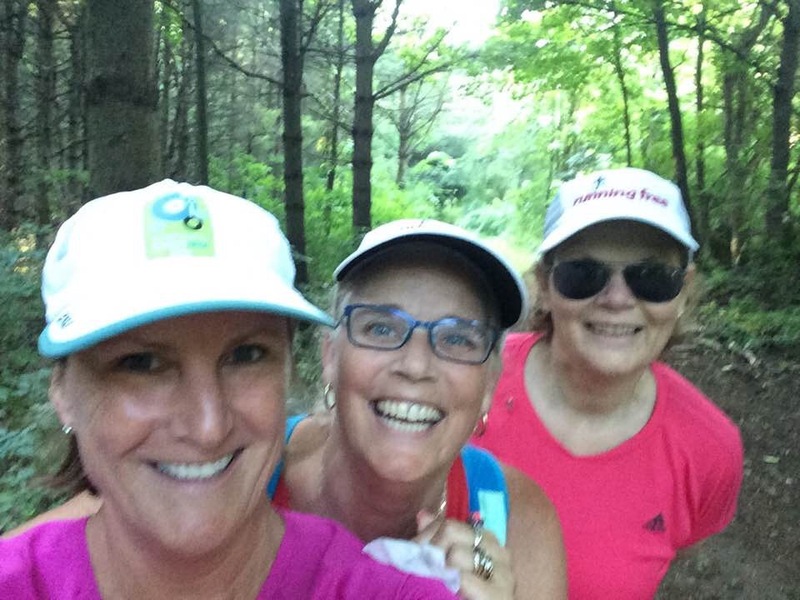 What every gal needs is a time to hang out with her running friends, which usually are her best friends! We had a wonder 23 hours with our closest running friends. The four of us got together during our marathons days years ago, so it was great to get together to reminisce, catch up with each other and to plan another adventure. 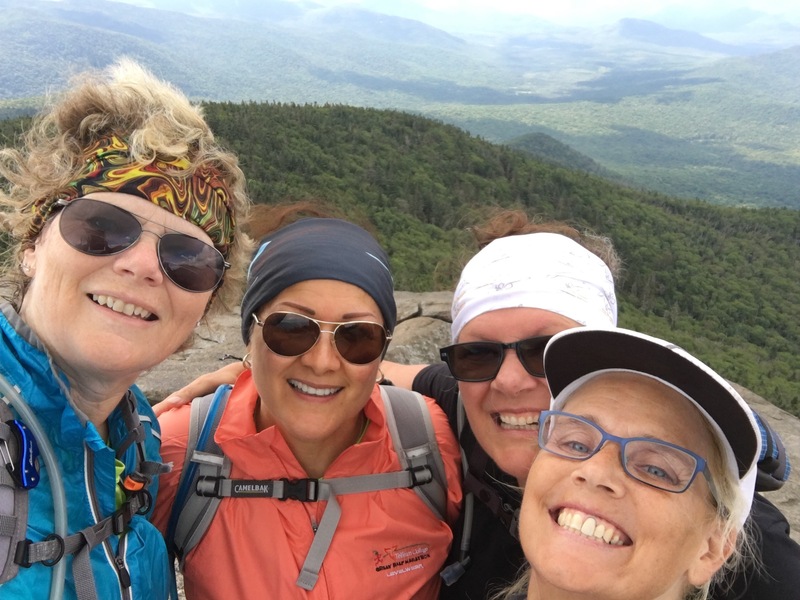 The last adventure we had was a little mountain climbing last year in the Adirondacks. After a lot of laughter this years plans are well under way for another great adventure. 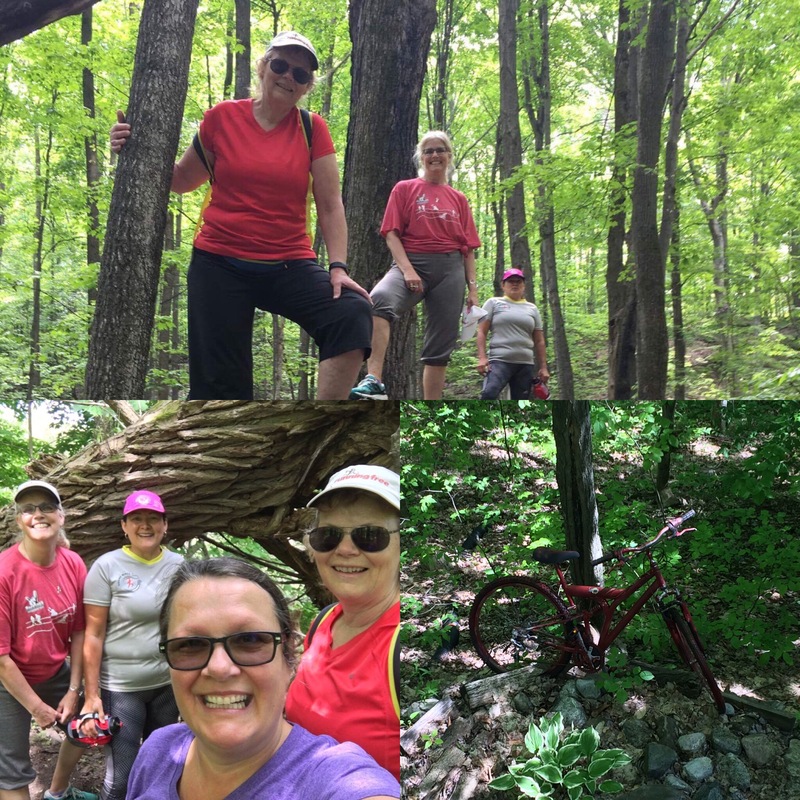 A little hiking, a lot of laughing, love these girls! Some cities just get it. People need places to walk and run away from traffic. 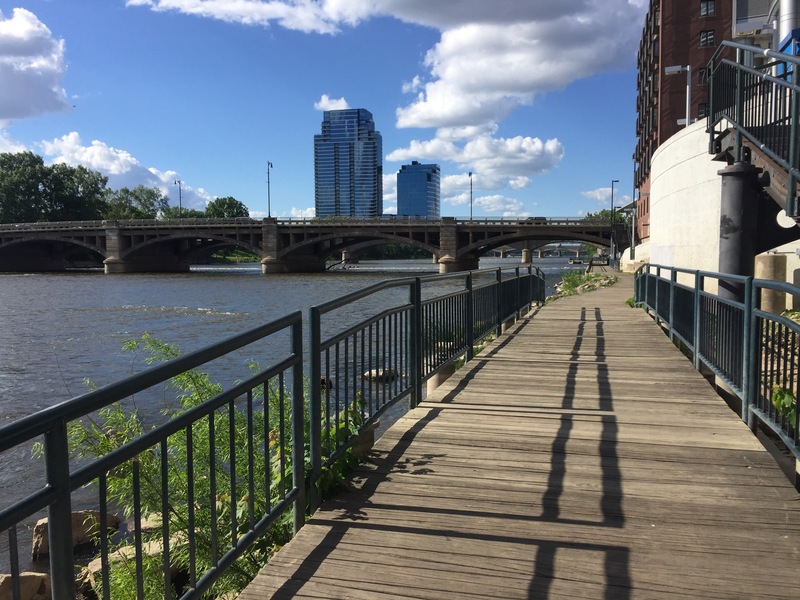 Grand Rapids, Michigan isn’t a big city but it has over 100 miles of paved biking and running trails! This morning we ran out and checked out a local trail that we haven’t been on in a while. It’s right beside a subdivision constructions site which is a little sad because the construction has actually cut the trail off so now it is a dead end. Maybe when the construction is finished they will open it up again. In the mean time someone has been in there trail building. For such a small area they have really put some work into it. So far, because not too many people go into that area, it is really beautiful with narrow little side trails running off a double track. 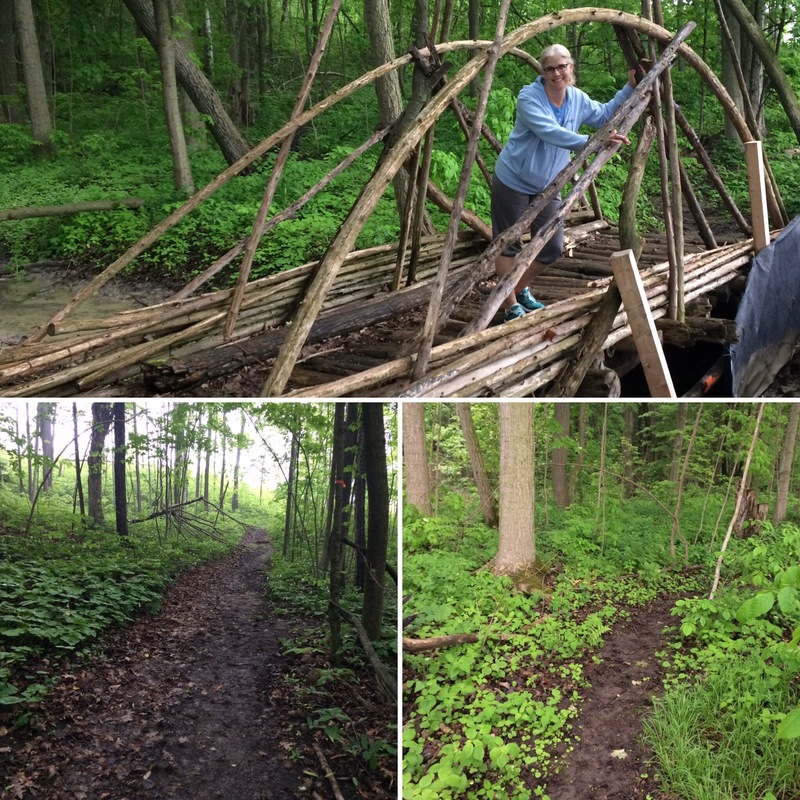 They have also built two elaborate all natural bridges over the little stream that runs through the forest. It’s a little controversial whether or not someone should randomly build trails in a town wood lot but I’m sure the new people moving into the subdivision will really get some enjoyment out of it. Mosquitoes and all! 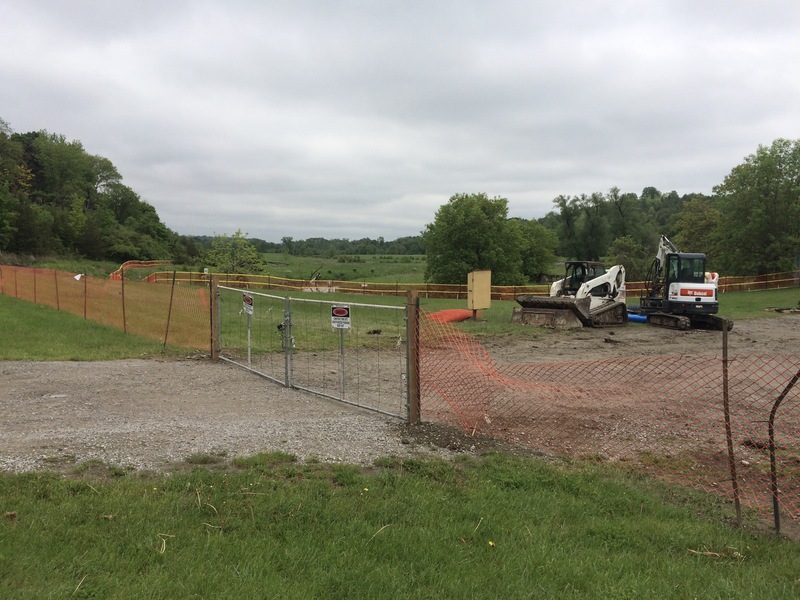 Earlier this week we notice our local trail head was surrounded by a fence and that excavating equipments had moved in. I assumed they were grading in a proper parking lot in but isn’t the case.Turns out they are upgrading about a kilometre of the trail, adding crushed gravel, filling in the low lying spots and joining it up with the existing trail. In short, making it into an urban trail. I’m not so keen on that, I kind of like getting my feet wet, running on dirt and how the morning sun glints off the spider webs that seem to have grown during the night. That won’t be the case once the gravel path is in place. It’s kind of sad how we have to take the wild out of the wild. 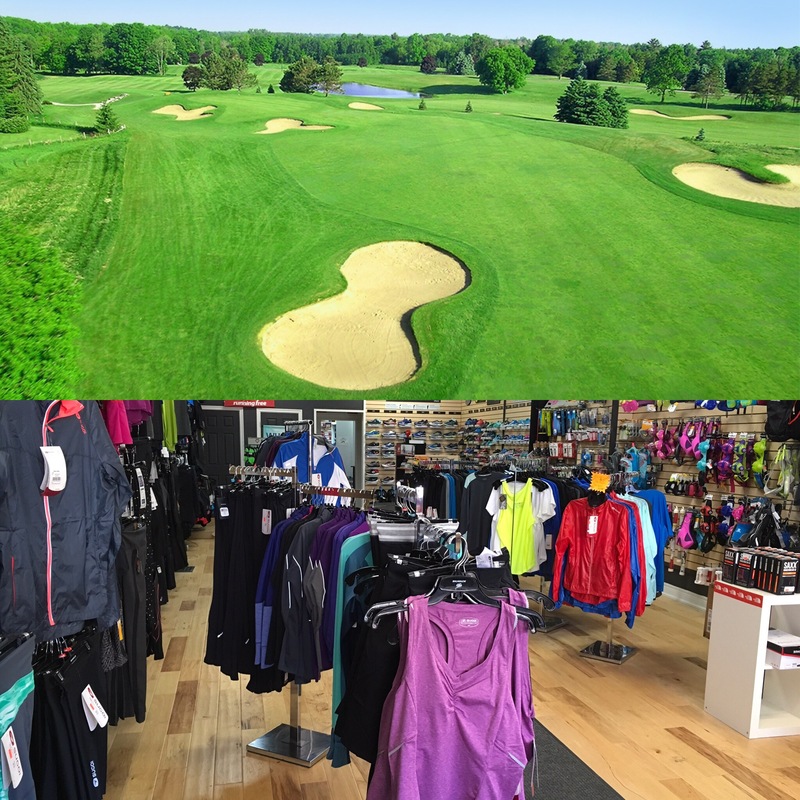 It’s a beautiful day to be on the golf course! That’s where my sister is today and I’m acting as her backup! She is spending a beautiful day at a golf tournament. The course she is on actually backs onto trails we enjoy running. It’s kind of handy having a Blister Sister!